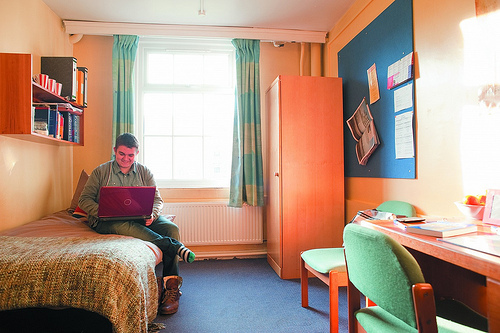 If you are staying in a University managed hall of residence, your network connection will behave as if you were on campus but the same cannot be said if you are in a hall managed by one of the many private companies that offer University accommodation. If you are living anywhere other than a hall managed by the University, you can still enjoy the campus computing experience if you set up the VPN on your computer. Easily switched on and off and with a simple one-time set-up, the VPN gives you the same access to electronic library resources and group study room bookings as elsewhere, and even allows you to connect to your private networked file space from home or elsewhere. Full instructions on setting up the VPN are available here on MyPort. If you find the instructions confusing, are uncertain at any stage or get stuck, please get in touch and we will be happy to help.